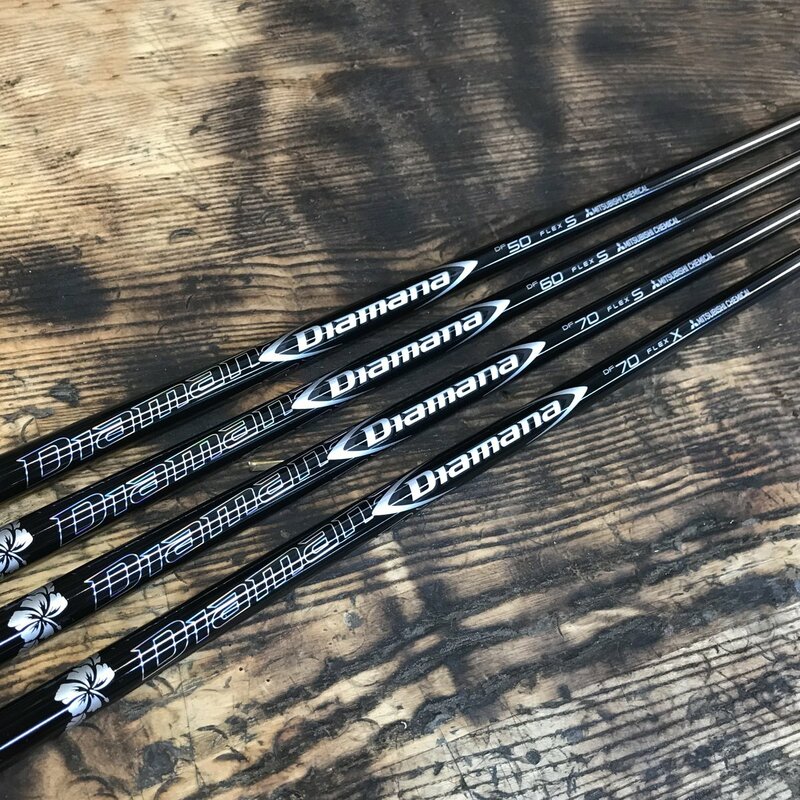 Home/Blog/How the Mitsubishi Rayon Diamana DF Series Shaft Can Make All the Difference in Your Play? One of the manufacturers that pioneered in developing innovative golf equipment is a Japan-based company known as Mitsubishi Chemical. Over the years of developing game-changing products, the team of professionals behind this company has found the importance of attention to detail in every part of the gear. Mitsubishi Chemical has designed award-winning golf shafts with a refined and eye-catching appearance. One of their best-renowned shafts is the Mitsubishi Chemical Rayon Diamana DF Series Shaft. How do Golf Shafts Affect Your Play? In this article, we are going to focus on a region that happens to be one of the most prominent parts of the club — the shaft. Most players do not know how important it is when it comes to determining performance. How to Find The Right Golf Shaft? The golf club shaft is located between the grip and the clubhead. The rod acts as a jimmy that multiplies the golfer’s applied force onto the ball and enables it to travel long distances. Shafts vary in the flex levels, bend profile (or kick point), torque, material, and the shaft length and weight. Golf experts choose the shafts based on their compatibility to their playing style. The key to getting the most compatible club for gameplay is to determine one’s strength and speed. Most of the time, uninitiated and professional players achieved their best performances by playing with a suitable shaft. The shaft flex is the capacity of the shaft to bend during the hit. The variations of flexes offered are L (Lady), A (Soft Regular, Intermediate, or Senior), R (Regular), S (Stiff), and X (Tour Stiff, Extra Stiff, or Strong). The criterion observed in selecting the best flex levels is the player’s swing speed. Golfers who have fast swing speeds, which are usually above 100mph, are best to use the stiff or the extra stiff shafts. On the other hand, players with slower swing speeds work perfectly with the softer ones. The kick point or the bend profile is the section of the shaft that bends the most. A higher kick point sends the ball on a lower flight path, while a lower kick point bends below the middle of the shaft which sends the ball on a higher flight. The differences between the “low-kick,” “medium-kick,” and “high-kick” bend profiles are only quantified by a few inches. This property of golf shafts defines the shafts tendency to twist during the swing. Lower-torque shafts counter twisting compared to the higher-torque ones. Selecting the correct torque level requires checking the player’s swing strength. Moreover, this attribute must be in sync with the flex levels. The torque, which is measured in degrees, is highly affected by the material used. The oldest golf clubs are made of wood, particularly hickory. Today, the most commonly used materials for shafts are steel, carbon fiber, and graphite. Graphite shafts exhibit a more extensive range of torque levels than those of steel shafts. Selecting shaft material is a complex process. You must take into account the player’s strength, swing tempo, and release time. The shaft length greatly influences the distance that the ball can travel. A longer shaft helps the ball to go further. The golfer’s height must also be considered in determining the operable lengths. Meanwhile, the shaft weight is significantly affected by the material. One must give a thought on the player’s strength before selecting the most appropriate weight. Mitsubishi Chemical has paved the way to creating the most excellent golf club shaft to date — the Mitsubishi Rayon Diamana DF Series Shaft. It employs the DIALEAD Pitch Fiber technology in producing sharp and stiffer shafts. These shafts can be customized from the regular to the extra stiff flex levels. They are also lower launching and have stiffer tips perfect for active players who do well with lower torque levels. Enjoy clubbing at its best with Mitsubishi Chemical Diamana DF Series designed for the average to strong golfers. Get yours at only $359.00, with fitting services included! Call JDs Clubs at (763) 458-4318 from Mondays until Fridays, 9:00 AM to 5:00 PM.